Reservations can be made directly with the Hilton Orlando Bonnet Creek Resort for Sunday, July 7 through Sunday, July 14, 2019. Please request the group rate for the National Association of County and City Health Officials (NACCHO). The NACCHO group rate is $179 single, $199 double, $219 triple and $239 Quad plus tax and charges. NACCHO government per diem blocks are also available with a valid government employee ID at a rate of $122 for a single rate or the current prevailing rate. For additional lodgers, the per diem rates are as follows: +$20 for double, +$40 for triple and +$60 for Quad occupancy. Rates will be available until 6:00 PM local time on June 14, 2019 or until the NACCHO blocks have sold out, whichever comes first. 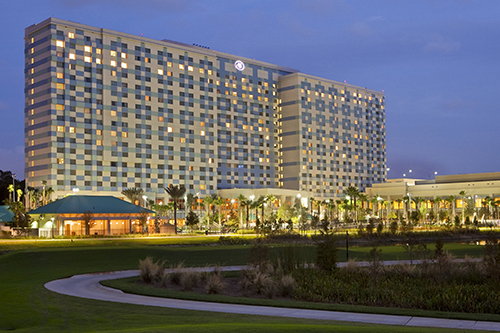 Note that the Hilton Orlando Bonnet Creek is the only official hotels associated with our event. While other hotel resellers may contact you offering housing for your trip, they are not endorsed by or affiliated with the conference. Beware that entering into financial agreements with non-endorsed companies can have costly consequences. The official hotel will not solicit you to make a reservation. If a hotel contacts you, please collect their contact information and report it to Maggie Pearson, Housing Coordinator, by email at mpearson@conferencemanagers.com. If in doubt, please do not provide any personal details and contact Maggie Pearson, Housing Coordinator, by email at mpearson@conferencemanagers.com.